» Could Your Commercial Package Design Fail? It’s a reality: You will face a setback or two when putting together something as complex as your packaging design. Although snags are inevitable, there are a few common pitfalls you can actively avoid to limit the amount of time and money you’re spending on do-overs. Here are six that we see most often. When you’re putting together all of the pieces of your commercial package design, it’s easy to ignore a few of the requirements to try to get things done faster. This is dangerous, especially when it comes to your labels. There’s a lot that goes into the label you use to get your products off the shelves and into the hands of your buyers. If your container company doesn’t know that you plan to use labels, or doesn’t know what type of labels you plan to use, you could run into unexpected complications. For example, if you get a pre-decorated container, your label might not adhere to the container properly and could start to wrinkle. Another example is how your product will be used. If your label cannot adhere properly to your container and withstand environmental concerns when the product is in use, you could hurt your brand. To avoid this pitfall, talk to your label printer. Follow their requirements so you can get the best adhesion possible. We get it. Designing a new product is exciting. You see a great idea and immediately want to go after it so you can see it on the shelf. Although we applaud your eager attitude, it’s important to know what you’re saying yes to before you set the wheels in motion. There’s often a disconnect between marketing and brand desires, and what can actually be engineered and produced. To avoid this pitfall, pad your budget and timeline so you can make sure you’re getting what you want. Then, schedule cross-department meets to implement it. By looping in all of the responsible parties, you’ll mitigate risks early on and move forward with fewer issues. It makes sense that you’re anxious to see your product on the shelf, but pushing the timeline too tightly is a recipe for disaster. This is especially true if you’re using new technologies. If you rush to production, you might not catch a few problems. To avoid this pitfall, plan extra time and then give it to your manufacturers. Take the extra time to develop a prototype & conduct proper tests instead of rushing through important steps. It’ll pay off down the road. If you’ve successfully put together beautiful commercial package designs in the past, it’s easy to assume you can do the same thing with a few small tweaks and see it work well in the future. That’s not always the case. What worked for one product, might not work for another. To avoid this pitfall, start from scratch with each new design. 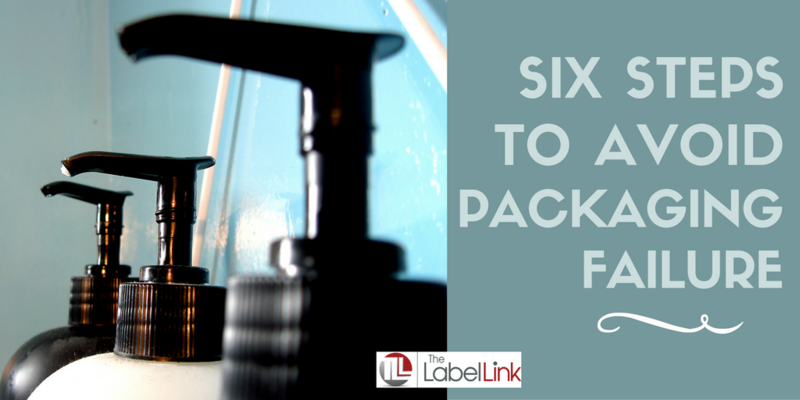 Do your homework instead of lathering, rinsing and repeating your product packaging formula. Honesty check: How many packaging designs do you have going right now? If you have several irons in the fire, chances are you’re going to get confused and/or blend the two at some point. To avoid this pitfall, focus on product packaging projects one at a time. The fewer distractions you have, the more successful each one will be. When you’re elbow deep in your packaging design project, it’s easy to lose sight of the person who matters – your buyer. Instead of trusting your gut for all of your commercial packaging design ideas, turn to your customer. It’s natural for feelings to get hurt or egos to get in the way, but the end result has to be something that helps you meet your financial goals. It’s not personal; it’s business. Follow that strategy by making data-driven decisions to avoid this pitfall. Question: What pitfalls have you run into with your commercial package design projects? Anyone who’s managed a project before knows, it’s virtually impossible for everything to go completely according to script. You will run into problems and setbacks. Make yourself aware of these common pitfalls and keep them squirreled away in your mind so you can avoid them along the way. Want a little extra support during the planning process? We’re here for you. Contact us to learn more about how to avoid label mishaps during your packaging design phase.